I must thank you for your prompt service. I ordered a cable on the Friday and I received it by Express Post on the following Monday. I must say that this is much faster than other deliveries I have has on the internet. Many thanks. Protecting your new tablet doesn't have to come at a huge cost. Our Smart Case for the Apple iPad Air 2 includes all the same features as the genuine article, but at a Cable Chick price! 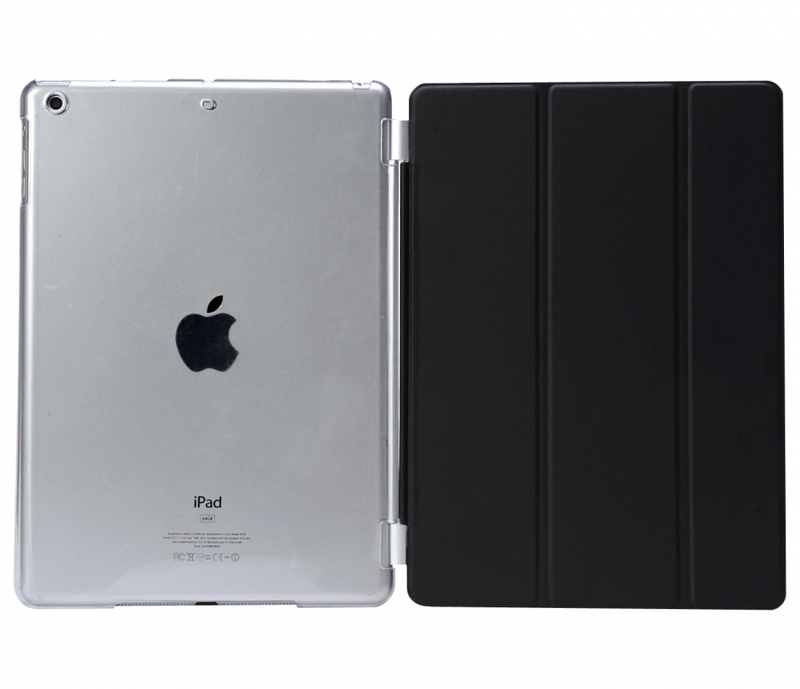 This case combo offers a trinity of great ideas, starting with the clear plastic tray that protects the back and edges of your device while allowing it to shine through no matter what colour iPad Air you have. Next is the folding magnetic cover, which is held firmly in place by the tray case and can't fall off. It can hold itself closed and open with its clever magnet, so it's never flapping about. The magnet also offers wake-on-open and sleep-on-close functions to get you going even faster. Finally, the folding cover rolls up to offer two stand heights in landscape orientation for easy use with keyboards or FaceTime apps. Put together, this great case is a perfect companion for your iPad air to keep it looking great while limiting the extra bulk other cases can add. Note: iPad Air 2 / tablet device not included. Colours and tray design may vary slightly from those pictured. I have been very impressed with Cable Chick - order arrived in a timely manner and support from your Team has been fantastic. Home Theatre is 80% complete now and can't wait to flick the switch.